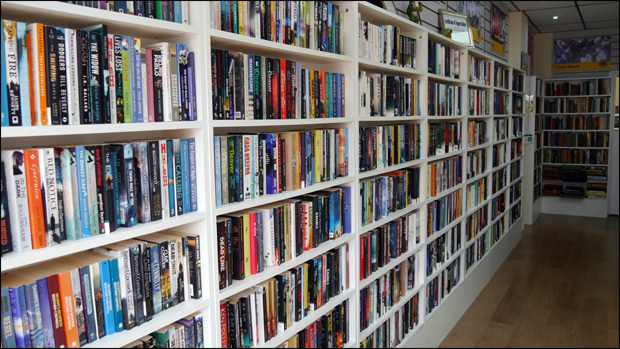 Appeal: The Burgess Hill Book Den Still Need Your Old Books! 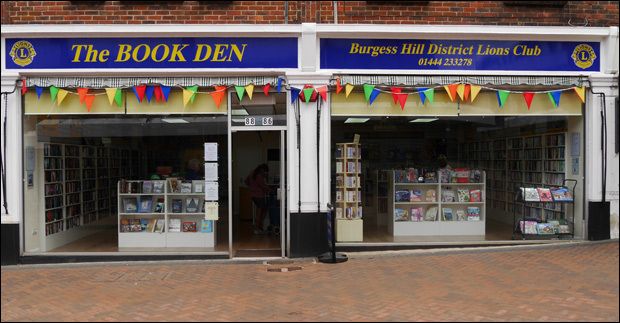 Since the Book Den relocated 13 months ago within Church Walk, Burgess Hill, their popularity has soared with a significant rise in the sale of second hand books. 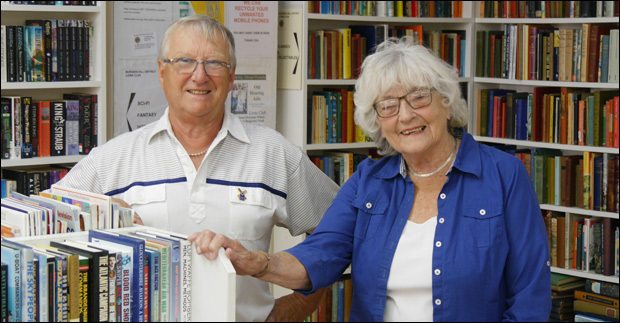 Now more than ever they need the public to have a look around their homes to see if they have any old books that they could donate as the Book Den seek to keep raising money for local good causes. We spoke to Shop manager Alan Ranger to see how the Book Den has grown due to their move. "The main benefit to moving was to give more space to displaying books on the basis that we'd like to think we've got more customers buying books. Aas we're in the process of making money from this for charity, we thought that the investment would increase takings, and the answer is that is has." he said. "The new shop allows us a better way of displaying our wares, it looks professional and some people have said that 'its the nicest looking shop in burgess hill', we like that as we've worked hard at it in our own time to do it and we are selling more books than we were in the last shop. "All in all it's a good move, we took the lease up nearly 2 years ago, so we've got another 8 years here and all we've got to make sure is that we're still living to keep the thing going, and when most of our memebers are in their seventies, it's a challenge!" The Burgess Hill & District Lions started off by selling books on Saturday mornings on some tables at the Market Place Shopping Centre about 25 years ago. This came about after they were donated some surplus books which another Lions Club in Sussex used to sell. After sales went well, Market Place manager Chris Goldfinch would allow the Lions the use of empty shop units in the centre. A few years later the Lions moved to Church Walk and had a monthly licence in a shop (which is now a nail studio) and then 5 years on they wanted to find a more permanent solution, so they moved into the former Scope charity shop where they spent over 10 years before moving to their current location. Obviously the Book Den wouldn't exist without their army of volunteers. In addition to members of the Lions club, over 40 people from the local community also help at the shop. There's a rota to cover the Book Den's opening hours of 9:30am-4pm, six days a week, where a minimum of three people are needed to work the morning and afternoon shifts. It means that all the volunteers are utlised regularly. There's also a Book Den committee, all with their different tasks to help keep the shop run smoothly. "On average we sell over 1,000 books a week, so we need to be given over 1,000 books a week to be able to maintain our stock levels. 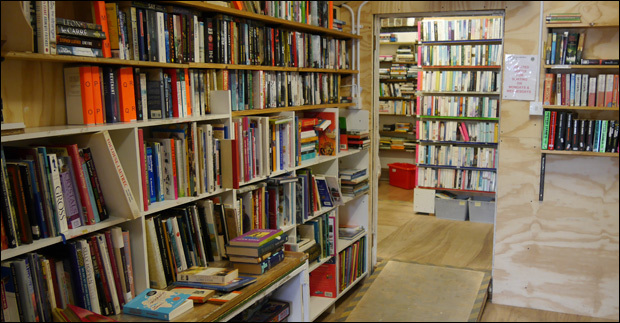 The whole idea of the shop - and always has been in the 20+ years we've had a shop - is people donate books to us and the ones we consider that our customers might want we put on display, those which are not are recycled and we get money for those as well. Nothing is wasted" said Alan. Occasionally the Book Den receive highly collectable books which a knowledgable volunteer runs the rule over to decide if they can be put on sale or go off to auction. If you'd like to donate books to the Book Den, you can do so from either the front of the store or you can pull up outside the rear of the building (look for the grey extension with the Lions sign outside) and a member of the team will take your books from you. During the last year, the Lions have used to proceeds from the Book Den to benefit 48 different organisations and individuals. 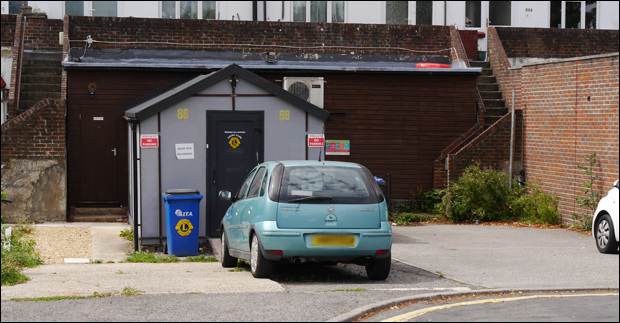 This includes regular support for the three youth groups: Burgess Hill Marching Youth; The Respect Youth Club; Burgess Hill Youth (Formerly Burgess Hill Boys Club). They also help people who have fallen on hard times as long as those people are doing their best to help themselves. 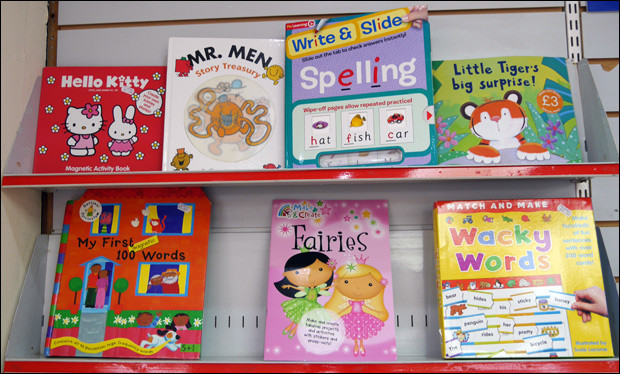 Customers are also encouraged to make suggestions to the Book Den as to what organisations and projects the proceeds could go towards supporting. 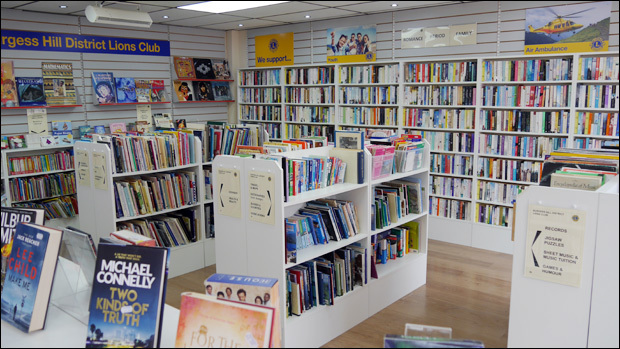 The Book Den are hoping to get a screen put up in the shop that will display information featuring all the local good causes to have received donations from the Book Den. This is the 'out the back' part of the Book Den. No longer a mystery to readers of BHU.... that is unless you've already donated books via the back door! It's obvious that they sell books! Most books cost just £1 but some newer books are priced at £2. There's also a large collection of children's books, of which many are available in the shop's 3 for £1 offer. John, a volunteer, very enthusiastic about the Children's section. "What I love about this shop is that there are a lot of people with children who have limited means, and if they didn't have this resource, then their kids probably wouldn't have books. Part of our redesign was to enable young families to actually get their prams and their pushchairs.and to be able to actually sit there comfortably and go through the books." 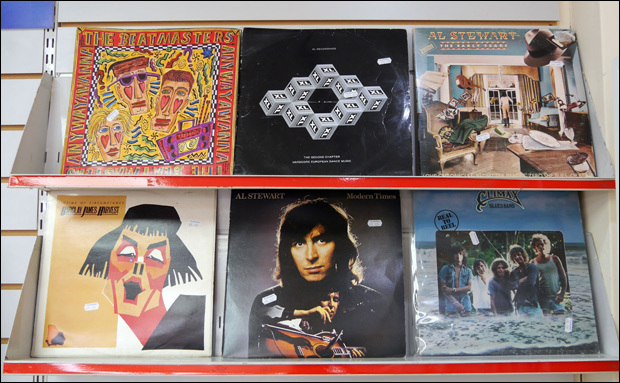 We were surprised to see a collection of Vinyl records. 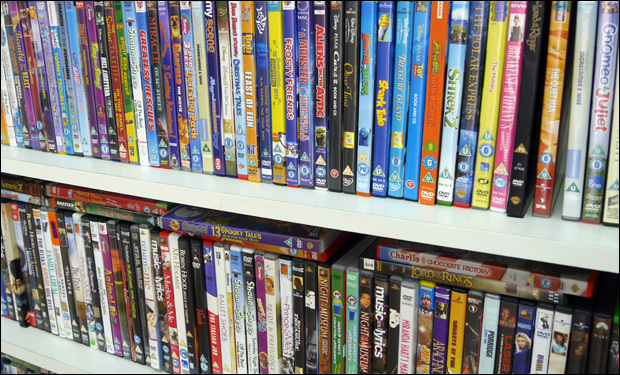 DVDs at the Book Den are £1 each, but if you buy three, then the price to you is just £2. 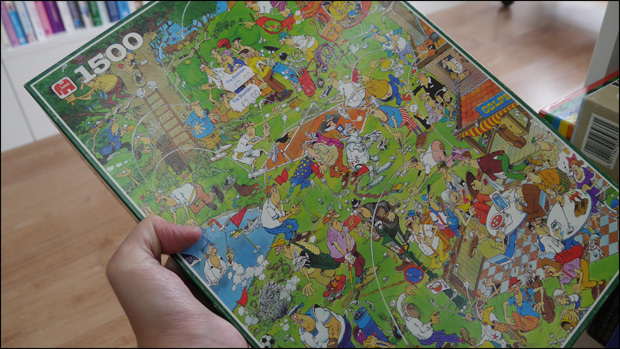 The Book Den also boasts a healthy collection of Jigsaw puzzles for sale. There's a big trade in the sales of these according to Alan. There you have it. That's pretty much all you could possibly want to know about the Burgess Hill Book Den. So to wrap up this piece, if you have any unwanted books, DVDs, Jigsaw Puzzles and Vinyl records, then consider donating them to the Book Den during their 9:30am-4pm opening hours Monday - Saturday at either the front or the back of the shop. Spread the word! The Book Den on Church Walk are still looking for regular donations of books. Are you a fan of the Book Den?